Employee Referral – Is it a future-proof recruitment solution? Home » Employee Referral – Is it a future-proof recruitment solution? 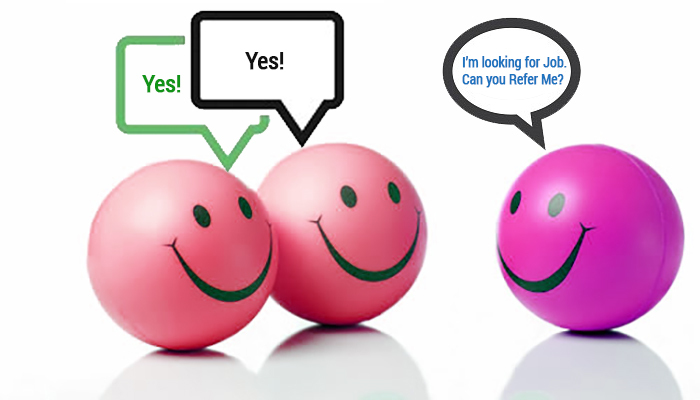 » Blog » Employee Referral – Is it a future-proof recruitment solution? The combination of employee referral program and social media is a boon or bane? One morning, a senior HR executive sought my opinion on this topic. During the course of our discussion, I discovered that he was looking to fill some positions and got success with the employee referral program. I tried to learn more from his experiences, which I am sharing with you in this blog. » Track the performance of your link, count how many employees have shared it and how many clicks or referrals are getting. » Track the effectiveness of the program by closely following the source, success in recruitment and eventual joinings. Based on the insights gained, I also learnt that the biggest challenge is to tap passive job seekers, who may not directly respond to job ads since they are relatively satisfied in their current role. However, they typically don’t mind hearing about new career opportunities. If you find some referrals (of passive job seekers) from your employees who perfectly fit the bill, connect with them and initiate communication. You may find some valuable candidates aspiring to explore options. Post discussion with my friend, I tried to understand the economics of employee referral programs. I discovered Social Recruiting For Dummies® – Oracle Special Edition. Citing a Financial Times report, the Oracle Special Edition quotes that referrals account for 25 percent of total recruiting and save 50 percent of total recruiting costs. This is indeed a huge saving, especially for SMEs. Following figure (from the said document) illustrates how much money a company can save with an automated employee referral system. Therefore, let your employees proactively recommend candidates, allow them to keep track of the referral progress and let them see the results of their efforts. With a Recruitment Software solution, HR department can innovate by publishing job requests with targeted delivery and successfully execute the idea of employee referrals. » Savings on paid ads (such as LinkedIn ads and Google Adwords) because your employees make job posts visible organically in the activity streams of targeted groups. Information makes you smarter and with these types of information metrics, one can convincingly justify the employee referral recruiting practice in front of the top management. Integrating social media, employee referral program and a modern recruitment software is indeed a SMART idea. The best part of this process is that you can measure every action and analyze it to improve continuously.